With our SOLARFLEX®-X PV1-F we offer a product in our designated Green Line, which is in the scope of our long lasting commitment to renewable energy and has TÜV and VDE certifications along with the highest quality standards typical for HELUKABEL® products. The production takes place in our own cable factory in Germany. Therefore we can react flexibly, quickly and in a cost-effective manner to market requirements. Cross-sections from 1 x 2.5 mm² up to 1 x 95 mm² are available in stock. If required we are able to deliver SOLARFLEX®-X PV1-F up to 1 x 240 mm². 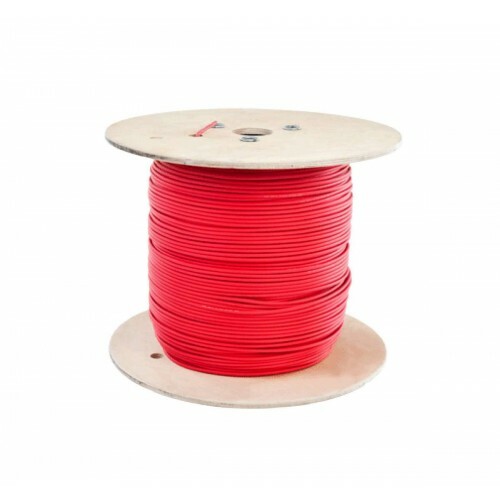 The wire is used globally in stand-alone and networked systems as a module or branch wire. Both insulation layers are clearly distinct by colour for improved handling: black sheathing on natural colour core insulation in the standard version, or optionally, red or blue sheathing to simplify local installation. Twin wire SOLARFLEX®-X PV1-F in cross-sections from 2 x 2.5 mm² up to 2 x 16 mm² are also available. In addition we offer pre-assembled cables and conventional connectors and tools for professional assembly of photovoltaic installations.